Hi, finally some pictures of necklaces. A short introduction on how I created the pendant. 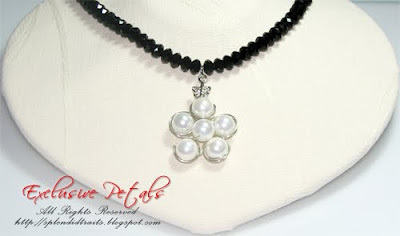 I wrapped the faux glass pearl with wire then connected the pendant to the chain using the pendant holder. The wire wrapping the pearl makes it look exclusive, hence the name. 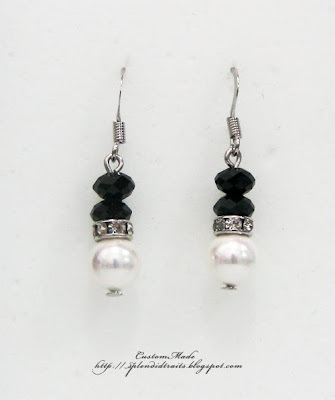 This entry was posted on Sunday, November 8th, 2009 at 8:01 pm	and is filed under Earrings, Necklace. You can follow any responses to this entry through the RSS 2.0 feed. You can leave a response, or trackback from your own site.